Cannabis drying on our large drying rack in a grow facility. Streamline your drying process, improve efficiency, and save space by neatly organizing your drying cannabis on our Cannabis Drying Rack. The high-quality, durable powder coated finish protects against abrasion, corrosion, and wear. Removable base and optional collection shelves allow for easy cleaning. The rack’s convenient wheels provide for flexible storage and transport. 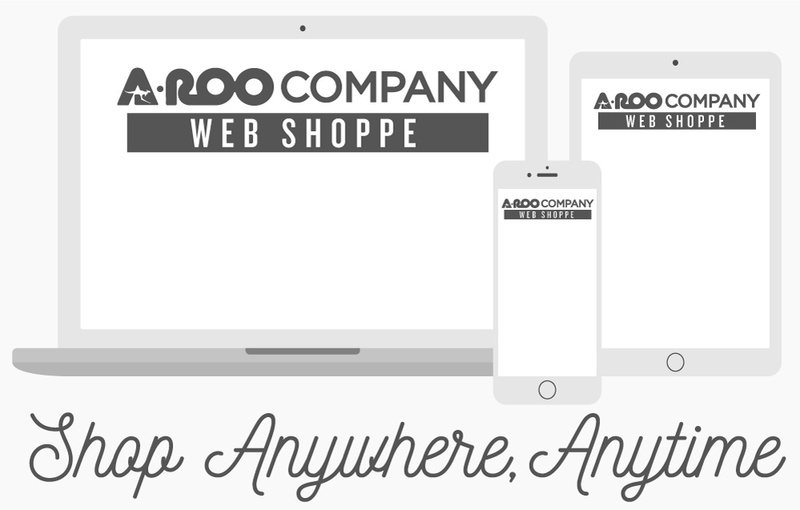 Although shown below in large and small sizes, A-ROO Company racks are 100% customizable. Arrange the shelves and easily adjusting drying arms into numerous potential combinations for your specific drying needs. Choose from three different shelving options to collect dried product: polycarbonate, PVC, or wire mesh. Simply and easily link racks with the addition of a hitch and pin. Cannabis Drying Racks are only available on a custom order basis. Contact an A-ROO Company Sales Representative and take your cannabis drying to the next level with our Cannabis Drying Rack! These optional A-ROO Company Cannabis Drying Rack Shelves have been designed to collect loose dried product and to provide the option of separating varieties of drying cannabis on the same Drying Rack without fear of mixing of varieties. Each A-ROO Company Cannabis Drying Rack Shelf has unique features as described below and like the Drying Rack Arms - each Drying Rack Shelf is easily height adjustable. Our Polycarbonate Drying Shelf is lightweight, rigid, has a grooved surface and clear - this allows for easy collection and cleaning. Our PVC Drying Shelf is Durable, economical and allows for easy collection and cleaning. Wire Mesh Drying Shelf is the ultimate in drying, allowing maximum airflow, yet still allows for collection and cleaning. Use our cannabis clips to quickly and securly hang cannabis from the rack hooks. A-ROO Company Cannabis Clips are the perfect companion to the Cannabis Drying Rack. Simple and easy to use, they are the finishing touch to ensure secure holding and ideal drying. Help prevent mold and mildew by hanging cannabis from these breathable, portable clips.